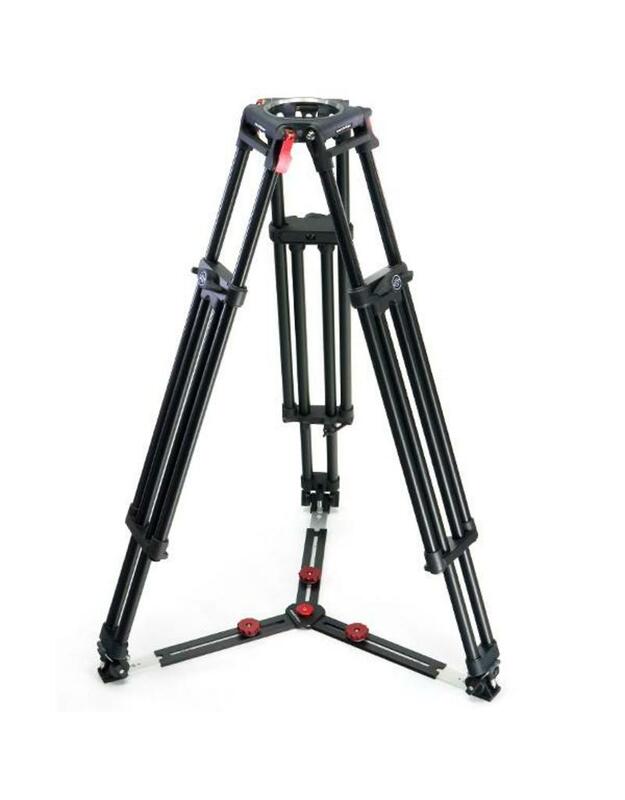 The Sachtler 3025 Cine 30 Tripod System consists of the 3006 Cine 30 HD 150mm Fluid Head, 6290 Cine 150 Long Tripod, 7023 Cine Ground-Level Spreader, 3372 Heavy-Duty Front Pan Bar, and the 3060 Side-Load Camera Plate. 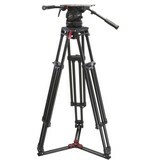 Any camera assistant will appreciate the Cine 30 HD 150mm fluid head and its unique side-load sliding camera plate. With the camera fully equipped, mounting and dismounting using the Snap & Go locking mechanism is safe, efficient, and worry-free. 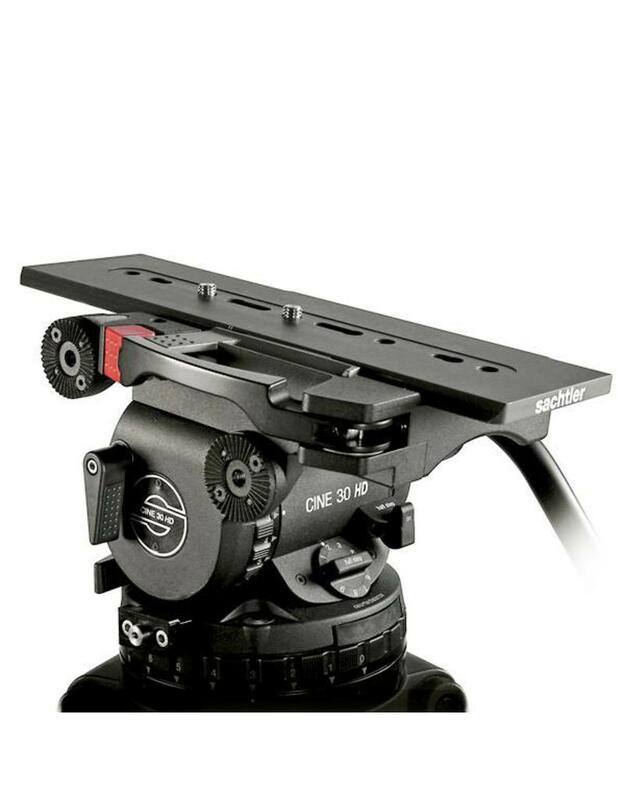 Fully compatible with Arri and OConnor camera plates, it features a fine adjustment for a tight secure fit, even if the plate is worn from use. Counterbalance is accomplished with an 18-step selector dial and a high/low range lever for rapid, yet fine-tuned, repeatable setups. Horizontal and vertical drag is governed by a similar 7-step (plus zero) indexed selector system in conjunction with Sachtler's patented leak-proof frictionless cartridges, which carry a separate five-year warranty. A tilt safety lock guarantees the integrity of the payload until it is secured, and caliper disk brakes ensure reliable pan and tilt fixing during operation with a quick flip of a short-throw lever. 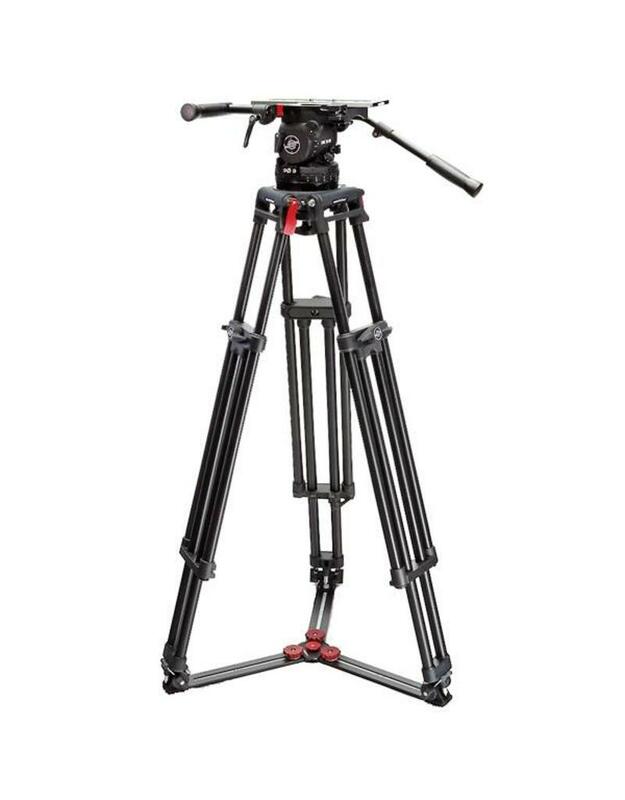 When shooting a project with top-of-the-line production cameras and gear, you need a support system that provides secure and robust stability in all conditions. 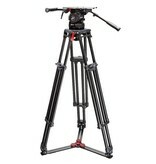 With the Cine 150 (Long), you get a tripod that is rated at an astonishing 309 lb. 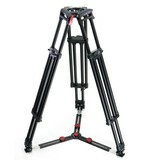 It safely supports the payload utilizing reliable, time-proven aluminum alloy metallurgy with dual 35mm leg tubes. 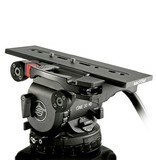 Oversized rotary stage clamps ensure easy height adjustments while wearing gloves, and the die-cast 150mm receiver accepts most cine/EFP fluid heads. Used in conjunction with the included 7023 Cine ground-level spreader, payload integrity is assured, and delicate floor surfaces are protected. 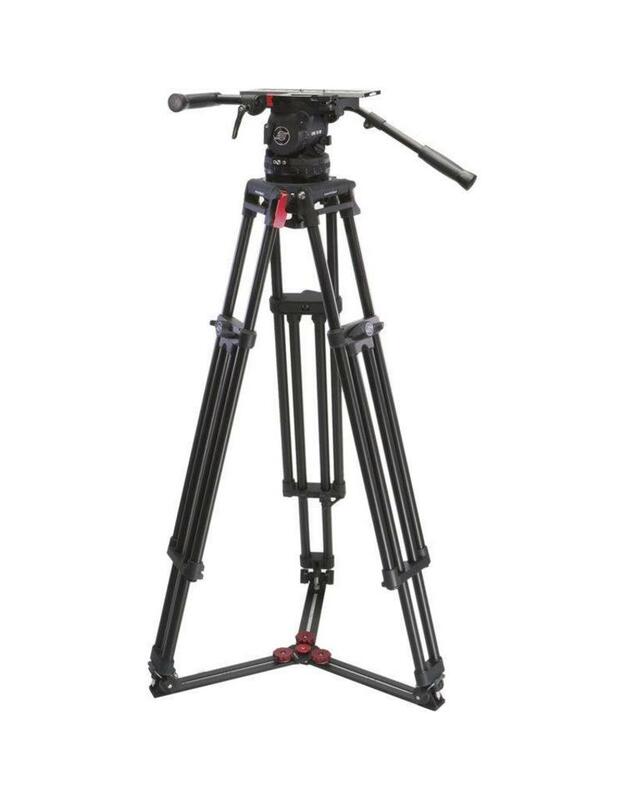 The 3025 System 30 is covered by the standard Sachtler three-year warranty, as well as comprehensive worldwide voice and web-based tech support, complete with CAD drawings, manuals, and service bulletins. Box Dimensions (LxWxH) 42.5 x 26.8 x 14.2"